We're still under construction, so please excuse our disorganization! New members are welcome and we are still role-playing! Welcome to Incendio! This is your first stop on your journey into the packlands! Enter here and read up on everything you need to know before becoming a member and joining our family! There is a help section within this, if you have any questions please ask here. For anything else PM Buck, or Zetos! This is where all of the forum announcements and important information about the forum will be located (including the rules). Please check here frequently to make sure you don't miss out on important information! If you are going to be MIA for a while or if you are leaving the forum for good, let us know here. If you are planning on being gone for a while and do not post here, it is likely that your account will be deleted during an activity check, so make sure you post here! Here's where you can chat about whatever, as long as you keep it appropriate and do not argue or insult other site members. Please be respectful and intelligent when using the chat forum. Also, if there are issues with the Cbox, this is where a board will be posted to get in touch with each other. You want a new avatar? Signature? Table? Maybe you made a new one and you want to put it on display and save it for later? These lands are sacred to all of the wolves in Incendio. No fights or other conflicts are allowed here. These places are for remembering the deceased and honoring and respecting the spirits. This section is not just for any role-play. These areas are for specific plot-sensitive role-plays ONLY. The sinking swamp is probably the most dangerous location within all of Incendio. If it is possible to get passed all of the tangled thorns and branches, the sinking sand and thick mud with definitely pose a threat to any visitor. There are small islands, however, that make travel through the swamp possible, but foolish. Within the murky, muddy waters of the sinking swamp lie any number of threatening beasts that could easily devour a full grown wolf in one bite. No one really knows what truly lies within the swamp, but many tell stories of wolves that have lost their lives when trying to brave the dangerous terrain. If a wolf doesn't perish in the mess and tangle of the swamp, they are likely to meet their fate by an angry pack member from either Kachle or Roztok. Beware. The hot springs are yet another neutral marker of the border of both Kachle and Roztok lands, just at the base of the mountains. Here hot spring water bubbles up from unseen aquifers below the surface, creating pools of water for the wolves to enjoy. Many come here to relax and soothe their aching muscles, and some come here to simply enjoy the warmth during the winter. Over all it is a rather nice place to spend the day, since it is safe thanks to the neutrality of the area. 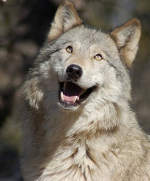 This is an out of character board where members of this pack will post their character's profiles so that everyone can see which wolves are in which pack as well as what their histories and personalities are when considering joining a pack. The pack border lands are where lone wolves will enter the pack lands to seek acceptance. There are ever-constant patrols around the borders, and an unwelcome loner is likely to meet an unpleasant fate should they trespass. Kachle pack members are not known for their forgiving or docile nature, so newcomers beware. This is where lone wolves will come to seek acceptance into the Roztok pack. The border is patrolled often, as well as strongly marked, so there is no mistaking it when approaching the pack lands. Though less aggressive and violent than the Kachle wolves, Roztok pack members do not tolerate trespassers and are likely to attack or chase unwelcome rogues from the pack lands, should they enter without permission. Here is where members may post advertisements to other role-play sites. However, we do ask that these members follow certain rules, listed in the rules under the advertisement section. Please read up on the sticky topic containing the rules for advertisement before posting here. This is a place to request affiliation with Incendio. Do you have a roleplay site? Then come affiliate here, there are rules found in the sticky topic inside and whenever a post is made in this forum. We request you do not post any mature rp's, if you're uncertain pm either Zetos or Buck.